My son, Nick, just turned three years old. Nick absolutely LOVES tractors so of course, we (being my wife and I) threw him a John Deere Tractor Party. I must say, he was in heaven! It really does seem that kid's birthday parties are getting bigger and more expensive each year. The pressure that some parents feel when it comes time to throw their child a party is out of control! Well, people, I'm here to tell you that there is no need to keep up with the Jones'! After all, throwing a birthday party should be about celebrating life, cake and ice cream, and of course, spending quality time with friends and family. There is really no need to break the bank when it comes to birthday celebrations! The decorations were a huge hit! With that being said, let me tell you all about Nick's John Deere Tractor Party. I'm not going to lie, it wasn't free, however, there are several things that we did in order to save money! First of all, decorations! In my opinion balloons really make a party festive and fun! Simple latex balloons are inexpensive and help to create a wonderful party atmosphere! The party store that is located down the street from my house will inflate any balloons that I bring to them (even if I didn't purchase them in their store). Of course, they charge me a small fee for the helium…but that is to be expected (nothing in this world is free!). 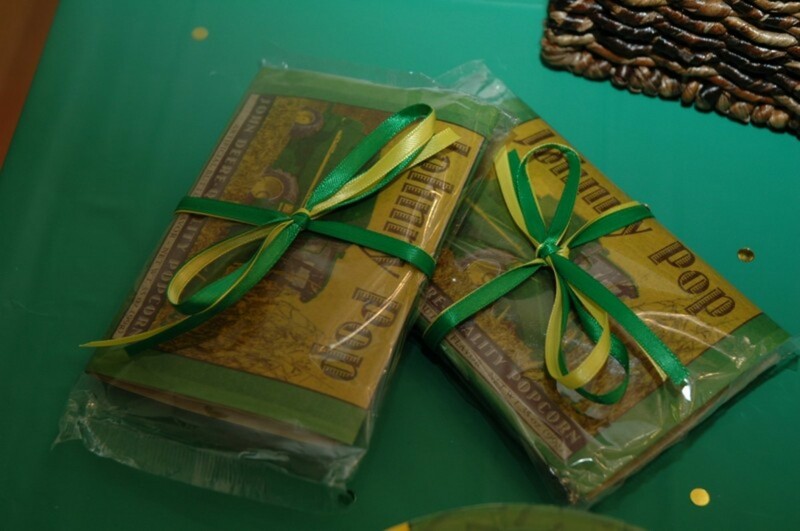 The John Deere logo is green and yellow, so those were the colors used when it came time to pick out plates, utensils, tablecloths and other decorations. Trust me when I say that the dollar store has great DISCOUNTED party supplies. Don't believe me...read THIS article!!! The guests wore John Deere T-Shirts! Before I continue, below is a list of party items that can really give you a big bang for your buck. Take notes people…you don't want to forget anything! Flowers – Go to your local grocery store! Many grocery stores now offer fresh flowers and they will cost much less than a professional florist (the store down the street from me sells three bunches of flowers for twelve dollars). Like balloons, flowers add color, as well as, fragrance! Balloons – Simple latex balloons are inexpensive and children love to take balloons home with them when the party comes to an end. They also add color and a festive atmosphere! You can tie balloons anywhere…on the back of chairs, on banisters, even on the mailbox (which by the way is a great way to let people know where the party is!). If you wish, buy mylar balloons at a discount store on-line and then take them to the closest party store to be inflated. This will save you money! Crepe Paper – An oldie but goodie party decoration that is down-right cheap and comes in just about every color imaginable! 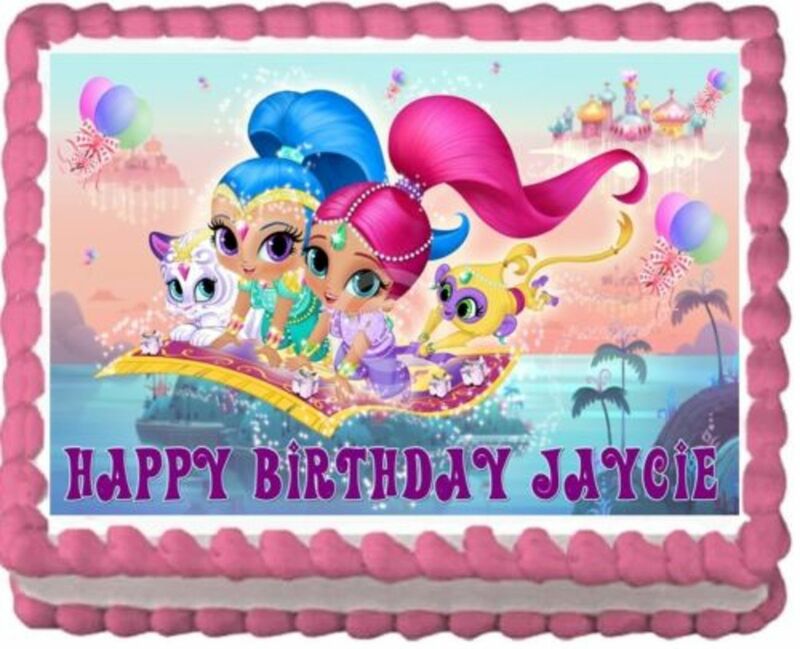 Banners – Create your own on your computer or buy one at the party store! Piñata- What child (or adult!) doesn't like breaking open a piñata and diving for candy! Piñatas have become quite popular over the years and come in just about any shape you can think of. They cost between $12 and $22 depending on which one you buy. As for candy, buy bulk from a discount store and save money! More Party Supplies to Choose From! Yummy cupcakes with John Deere Cupcake picks! Cupcakes or Cake? Why Not Both!? 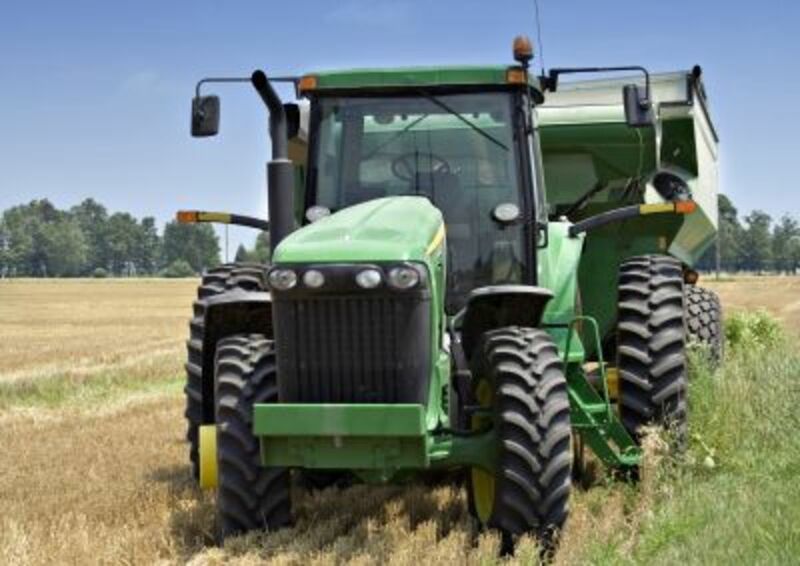 Now, back to the John Deere Tractor Party! My wife loves to bake cupcakes. In fact, I think she is a cupcake fanatic. 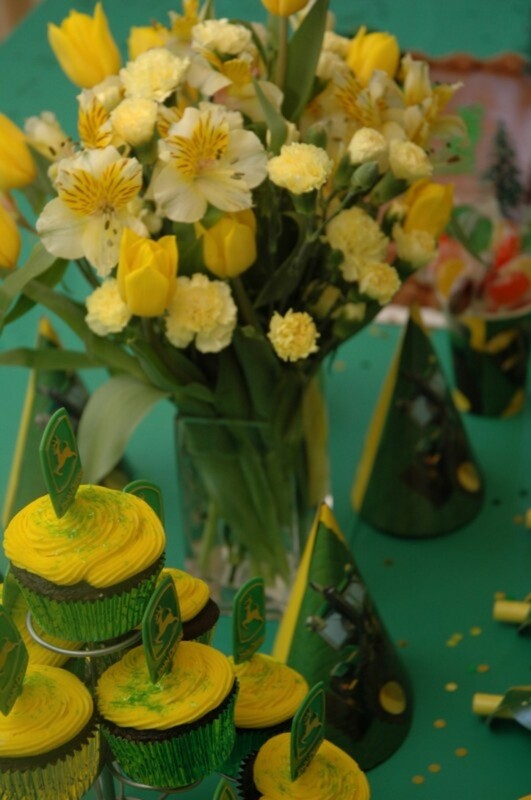 For this particular birthday party, she baked chocolate cupcakes with bright yellow icing. The cupcakes were made from a box mix (shhhh, don't tell) and the icing was made from scratch…butter cream anyone!? She piped the icing on each cupcake and topped them off with John Deere logo party picks (which cost approximately $1.39 for a package of six). Of course, we also had a birthday cake for the birthday boy. To save money, we ordered a basic yellow sheet cake from the local discount store (COSTCO) and had them ice it with plain chocolate icing. We added a small plastic tractor, some plastic trees and of course, a fence! It looked wonderful, and Nick LOVED it! You may think it is going a bit over-board having both cupcakes and cake, however, the small children at the party LOVED the cupcakes and the adults didn't complain when they got to take some of the extra cupcakes home with them! The green punch was a hit! As for food, we made it simple and grilled hamburgers and hotdogs. We also had cole slaw, potato salad, chips, assorted dips, fresh fruit and chicken nuggets. 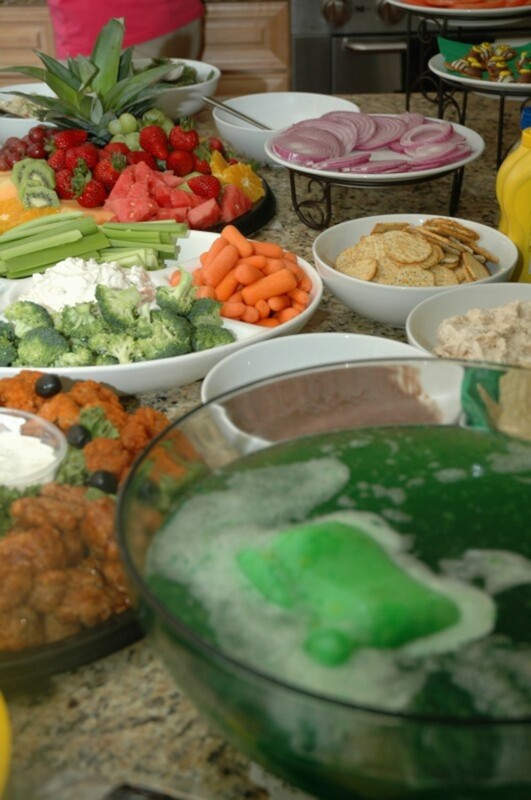 A big hit at the party (and inexpensive to make I might add) was the green party punch! We simply purchased a green punch ring at the grocery store and added ginger ale. Perfect, a refreshing beverage that just so happened to match our party colors! 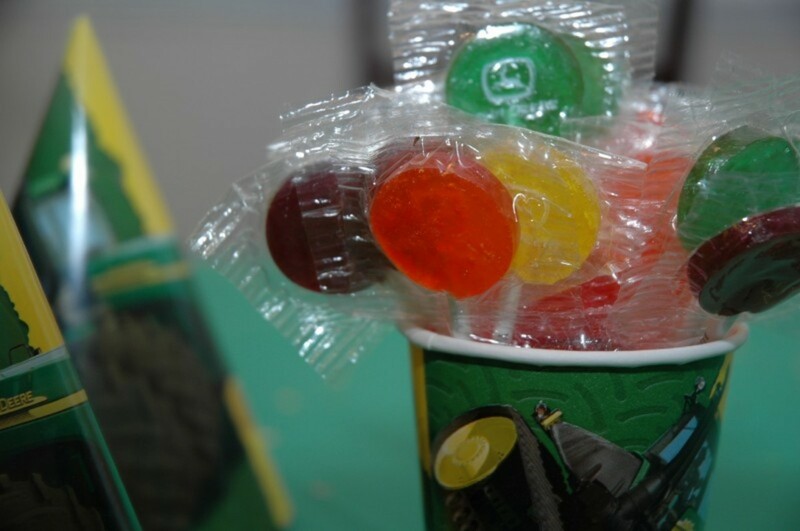 As for little extras, we had John Deere lollipops, green and yellow M&Ms, John Deere party hats, plates and cups and for each family to take home, Johnny Pop popcorn! As I mentioned before, throwing a birthday party should be fun and stress free! There really is no need to deplete your savings account in order to have a fun and festive celebration. With a little imagination, I'm sure you too can come up with ways to save money. Dollar Stores (which by the way is where I found the tractor cake topper) and bulk warehouse stores such as COSTCO are wonderful and enable you to buy party supplies at rock bottom prices! Happy party planning! PS: Don't hesitate to take a look at some great John Deere Toys and Books...they make great gifts! 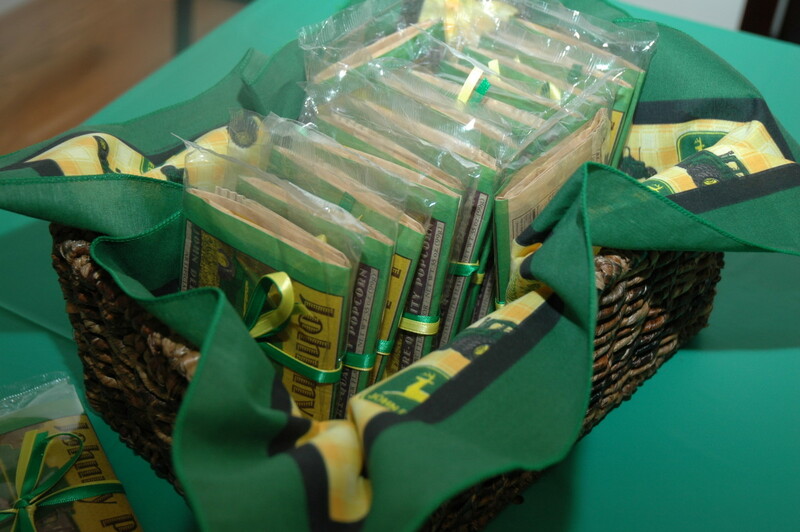 Johnny Pop - Party Favors! Simple, inexpensive, fun! 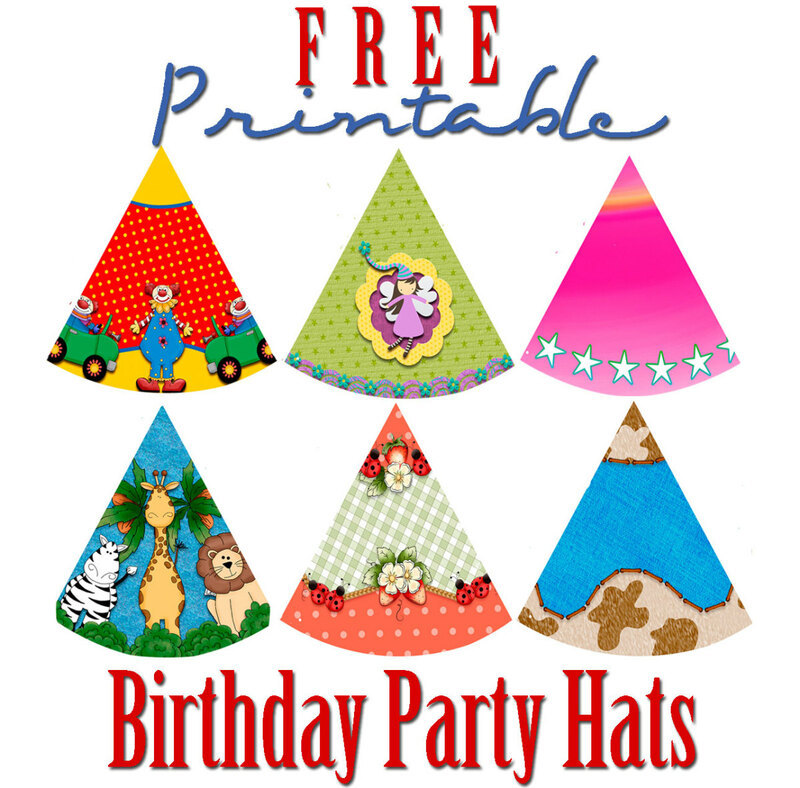 Don't forget to visit my other Party Idea Hub Pages! Thanks! 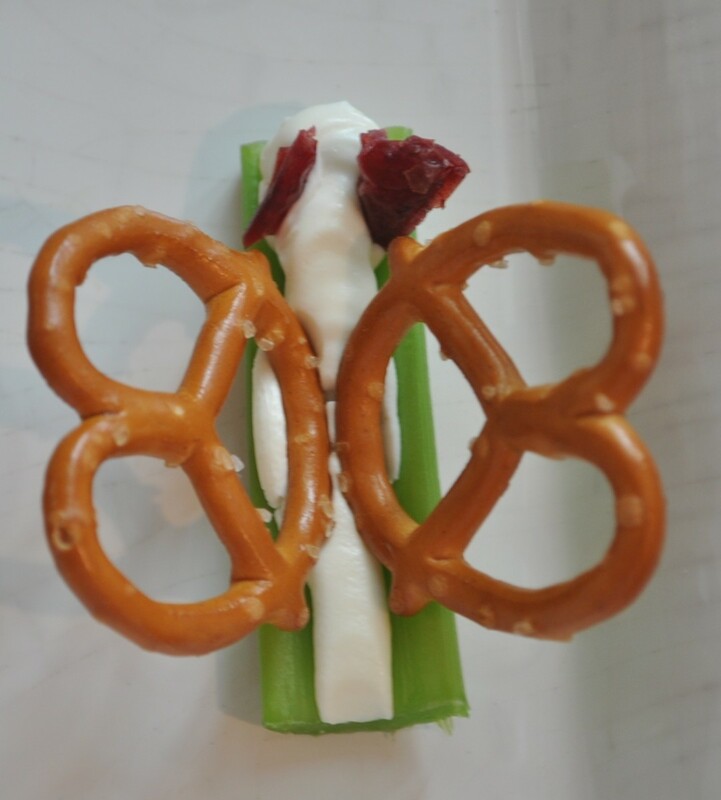 Kid's Valentine Party Ideas - Fun and Food! Strawberry Shortcake Themed Birthday Party! Kids Birthday Halloween Party! Were you lucky enough to be born in October? Great for boys birthday parties! Yes...I ordered the popcorn online. Here is the link. As for the cake, I ordered a yellow cake with chocolate icing. I asked for the cake to be plain so that I could decorate it myself (fence, tractors, trees,etc). You can kinda see the cake in one of the pictures above. Good luck with your John Deere party and I hope your two year old has a great birthday! I'm doing the same theme for my 2 year old, and I'm doing the cupcakes and cake as well and the Costco cake is a good idea I have the same topper too but how does the cake look? And the popcorn do you have to order it online ? my son has a bday next month and his turning 4.he just loves john deer so,I'm gonna give him a john deer style party.I understand that birhtdays they only prepare cake and ice cream.but,for me I usually have some foods for the guest and some games for the adults and kids too because I thought about their sacrifices for their time and for buying gifts to the celebrant...I have to spend a bit of money but,it worth it. cbris52 - Thanks for your comment! 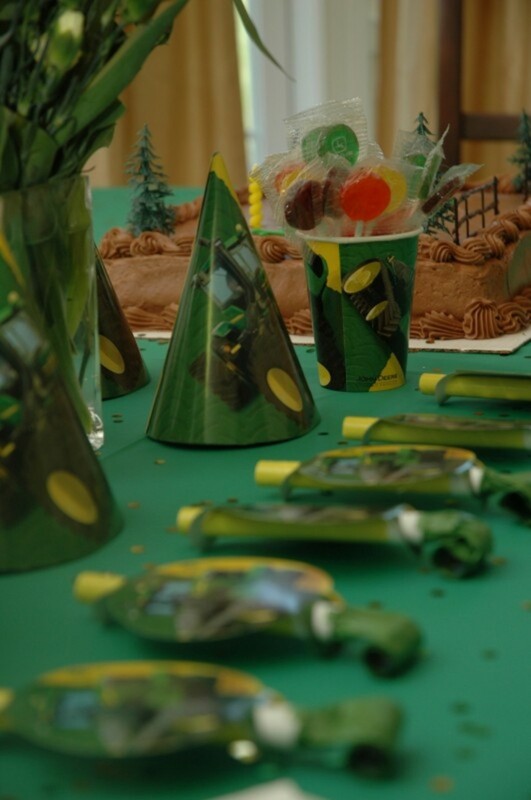 Most little boys love tractors so the John Deere party theme is perfect! Hope you nephew has a great birthday! What a great party theme! 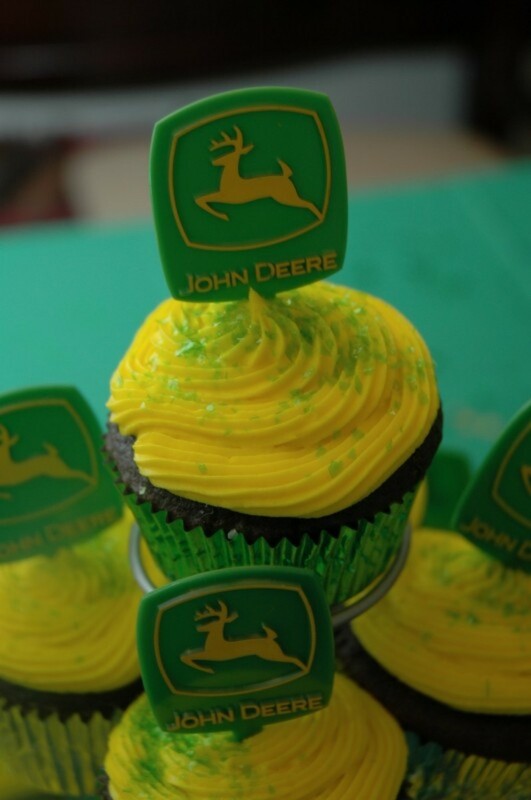 My little nephew is turning 3 in two months and I really think he would enjoy a John Deere party. Those Cupcakes were just too cute! I've been around many parties and never saw a John Deere party. 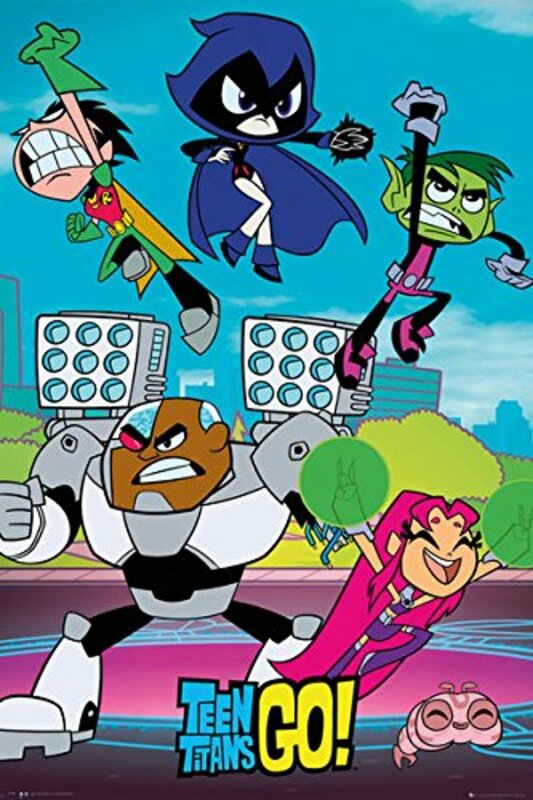 Looks really fun and original. I looked around and only found one tractor bounce house. It did not look like a John Deere though. Maybe a manufacturer can make one! Though you can't really see the cake in any of the pictures...it was really nice! We simply bought a giant chocolate sheet cake and told them NOT to decorate it. All we asked for was an icing border and the words "Happy Birthday Nick." I then decorated the cake with small plastic John Deere Tractors, plastic fencing, and a few small plastic farm animals. I then crushed up some chocolate cookies and made lines (to look like dirt) behind the tractor. The crushed cookies looked like a farmer's field. Overall, it was an inexpensive way to go...considering the cake was plain and I provided the decorations! Good luck with your 3-D cake...I've never made one but maybe I should try. There are many places that sell John Deere Stuff...however, my favorite place is the Green Fun store (www.greenfunstore.com)- The popcorn sells for .99 per pack. The popcorn was a huge hit at the party! Take care! Where do you get Johnny Pop Popcorn? Love your ideas and sure you guys had a blast. Wow, great Idea I love Tractors too, except old ones. Scheng1: Flowers are part of the over-all décor. Guns probably aren't appropriate for a two year old birthday party. Just a thought. flowers for boys? I thought guns are much better! This is a really nice idea. I could imagine how happy your son was to have a tractor party. Of course boys love tractors and for some reason....most of us never lose that fascination. I know through the years, with some of the work I have done that has seen me working around some heavy equipment, I still enjoy seeing big industrial work vehicles. My little guy would love this. Besides everyone knows "nothing runs like a Deere". Thanks. Looked like you guys had a great bday party for your little boy! And totally cute. Great ideas and great budget helping facts in there. 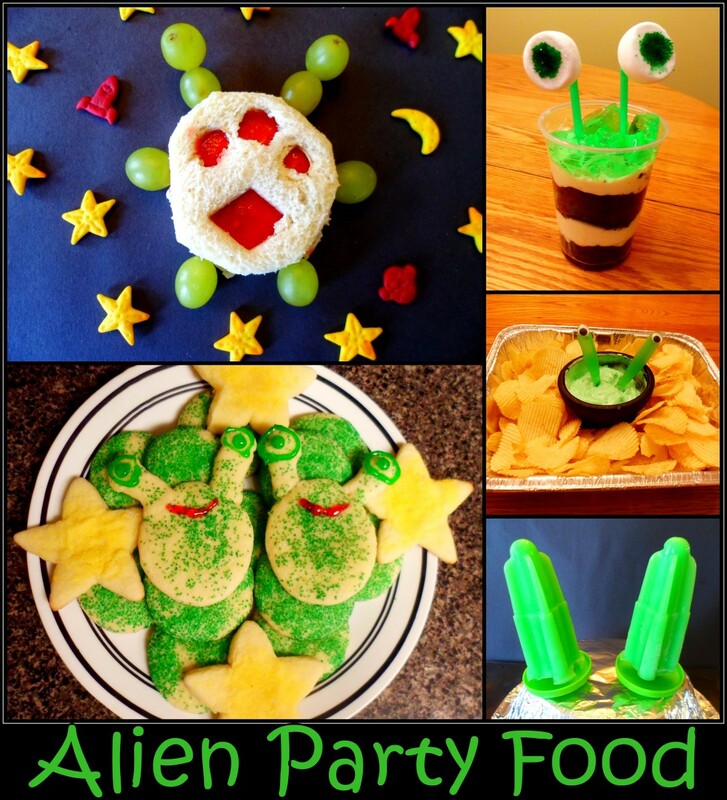 What a great idea for a birthday party! 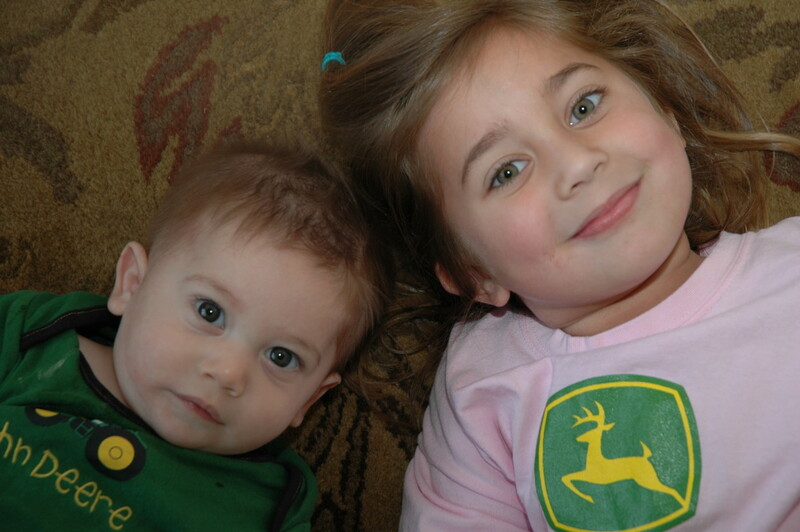 I do not know why but boys seem to love John Deere so this is really cute and they will love it. Vlkinpa: I never knew how big the "tractor industry" was until I threw a tractor party! The stuff they sell is crazy! What a great party. I'm sure the three year olds had fun. You and your wife are creative. What a lucky son you have. I have a brother-in-law who collects vintage tractors. He loves to give rides on them.